Central GA EMC recently presented DES Student Council with a donation of $500. Pictured above: EMC Representative Jesse Duffey with Student Council Sponsors Ms. Austin, Mrs.Hendricks, Ms. Woods, Principal Fran Dundore and student council members. Student Council has participated in many community service projects this school year, including visiting Westbury Nursing Home. 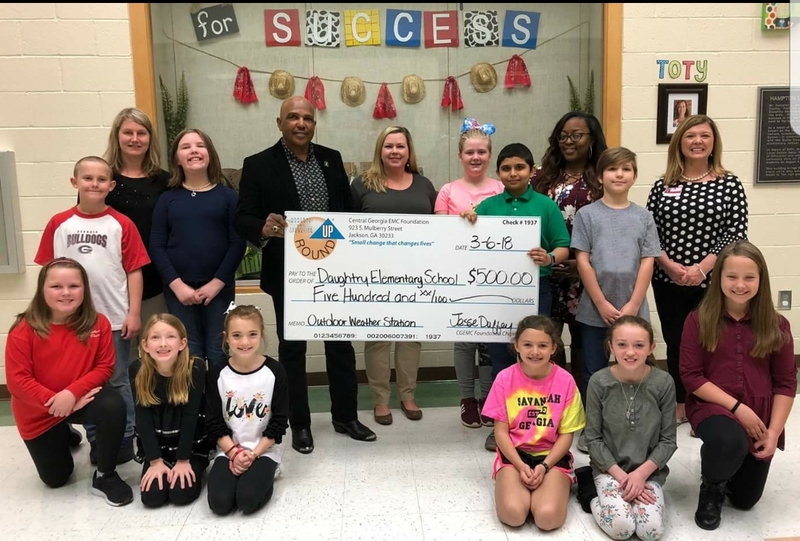 The donation will be used to create an outdoor weather station for students at DES.